Volunteer vacations, sometimes called “voluntours” or “service learning tours,” offer you the opportunity to give something back while traveling. Whatever your skills or interests, you can find a rewarding volunteer vacation experience through national and international organizations. Let’s take a closer look at some of these groups. Earthwatch Institute engages volunteers in science research and education projects. Volunteers work in the field with scientists, conservation experts and educators on a wide variety of assignments. In 2007, 38 percent of Earthwatch volunteers were 50 or older. Earthwatch funds projects each year in various scientific fields, including public health, marine science and conservation biology. You can find volunteer opportunities that match your interests, budget and vacation preferences by using the Earthwatch website’s handy expedition search engine. Because Earthwatch offers such a variety of trips, you should read each expedition’s trip description carefully. Some trips include accommodations and meals, but others do not. Trip lengths and difficulty levels vary, too. Trip prices do not include transportation to and from the expedition location, nor do they include visas. Travel medical insurance and emergency evacuation insurance are included in the price of your expedition unless you are participating in a one-day program. Earthwatch expeditions take place both outdoors and inside. You may find yourself cataloging plant specimens at the Smithsonian Institution’s National Museum of Natural History in Washington, DC, or counting dolphins off the coast of the Greek island of Vonitsa. Unless you are going on a diving trip, no special training is required. Cross-Cultural Solutions gives volunteers a chance to help people in nine countries. This international organization sponsors trips of varying lengths. The Volunteer Abroad program ranges from two to 12 weeks in length. On a Cross-Cultural Solutions volunteer trip, you could spend time helping out at a local orphanage or helping elderly people with daily housekeeping tasks. Cross-Cultural Solutions determines where you will work based on your skills, interests and trip length. Meals, lodging and language lessons are provided, but you will need to pay for your transportation to and from your destination. Laundry service, visas, immunizations and telephone calls are your responsibility. Cross-Cultural Solutions provides travel medical insurance for its volunteers. Approximately ten percent of Cross-Cultural Solutions’ volunteers are 50 or older, according to Kam Santos, Cross-Cultural Solutions’ Director of Communications. Cross-Cultural Solutions volunteers work in the local community for four or five hours each weekday. They spend weekday afternoons pursuing a variety of activities, including lectures, trips and cultural activities. Weekends and some afternoons and evenings are reserved for free time. Santos says that many volunteers choose to travel around their host country or explore the local area. Because Cross-Cultural Solutions volunteers work in many countries, you should carefully consider all aspects of your trip before reserving a space. Some of the “Home-Base” accommodations are located in areas where hot water or electricity are in short supply. Private rooms are not available. Of course, living like the locals – or close to it, anyway – is part of what volunteer travel is all about. Habitat for Humanity International, a Christian non-profit organization with affiliates in over 90 countries, is dedicated to providing affordable housing for low-income families. Partner families must put in a minimum number of work hours, called “sweat equity,” toward the construction of their residence. Teams of volunteers, directed by trained crew leaders, work on homebuilding tasks. 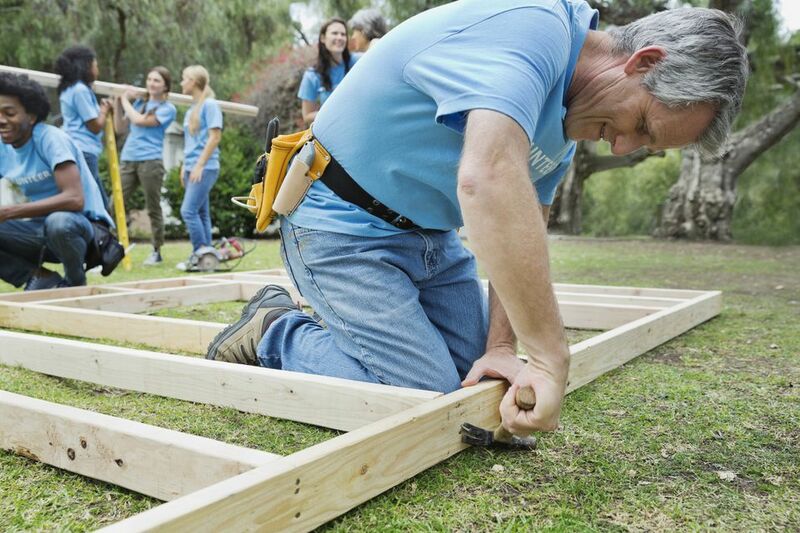 Habitat offers many different types of volunteer programs. Habitat’s RV Care-a-Vanners, for example, bring their RVs to builds around the country. RV Care-a-Vanners spend two weeks working on home construction projects. Habitat provides low-cost RV hookups for the volunteers. As with all Habitat building opportunities, all you need to bring is a set of personal hand tools, work shoes, gloves and a willing heart. You do not need to know anything about home construction; the Habitat crew leader will show you what to do. Another way to help out on a Habitat project on a short-term basis is to contact a local Habitat for Humanity affiliate and ask about joining a build for a few days. Habitat for Humanity also sponsors local Women Build and Veterans Build events. Want to volunteer to do some good on your next vacation? Here's how! Is VolunTourism (Volunteer Travel) for You?